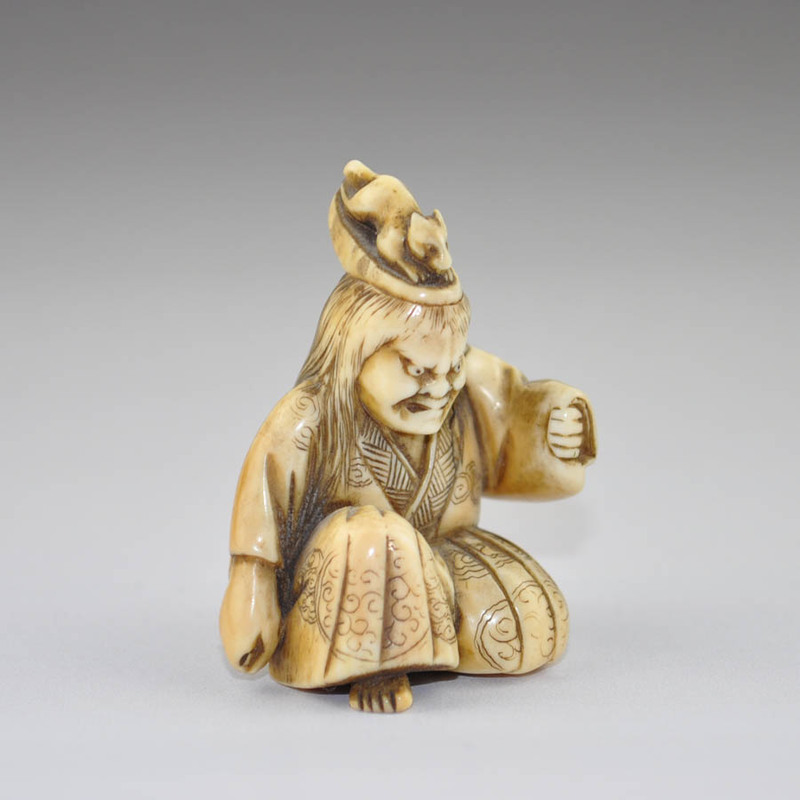 Ivory netsuke depicting an actor in the role of Inari the Fox God. 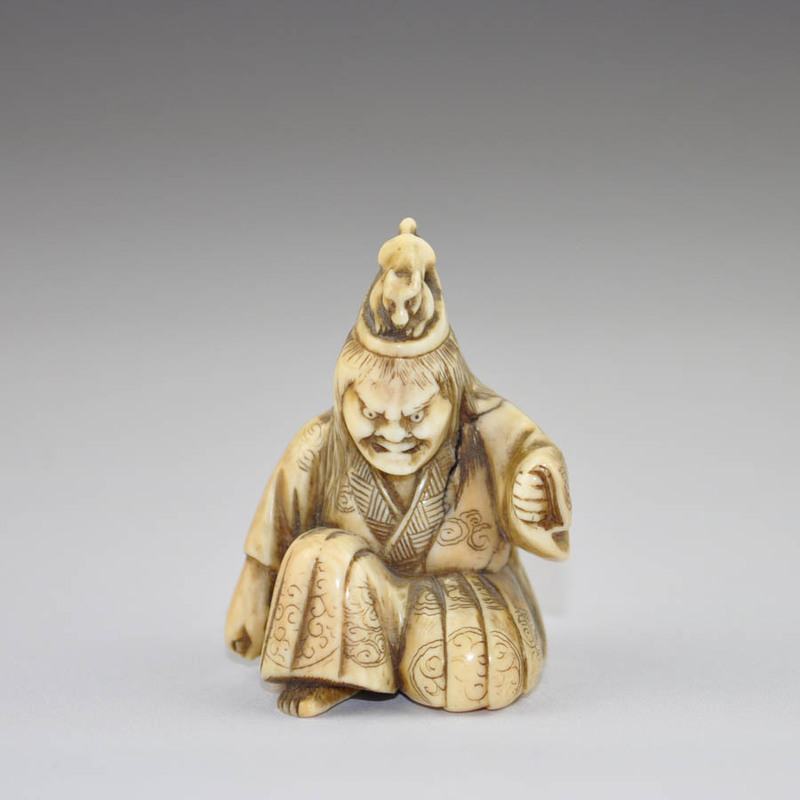 The actor is kneeling and in his right hand holds a swordsmith hammer behind his back while holding the kimono sleeve with his left. 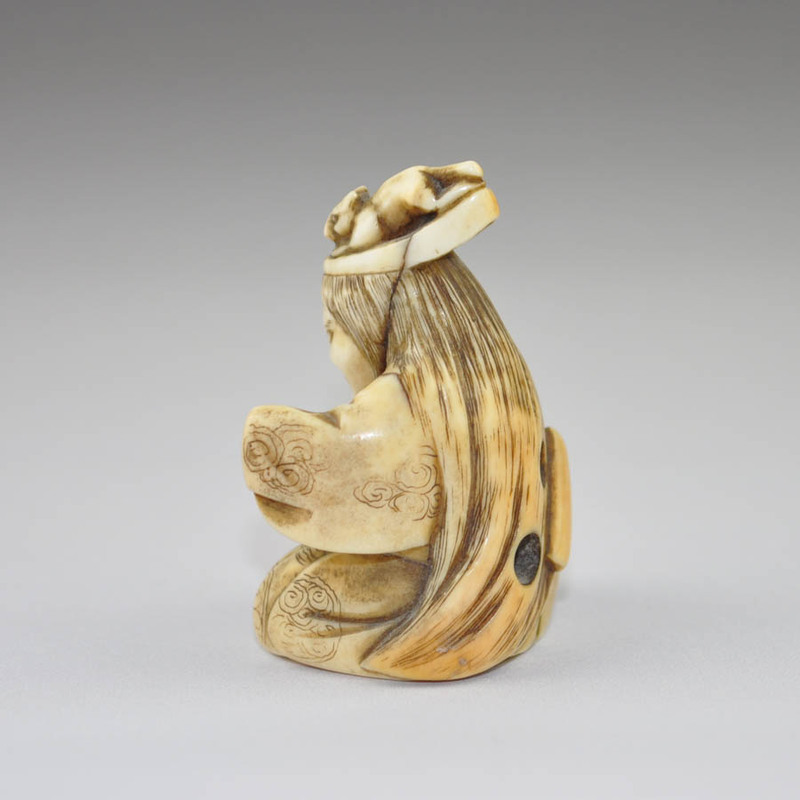 On his head he wears a hat with the figure of the fox. 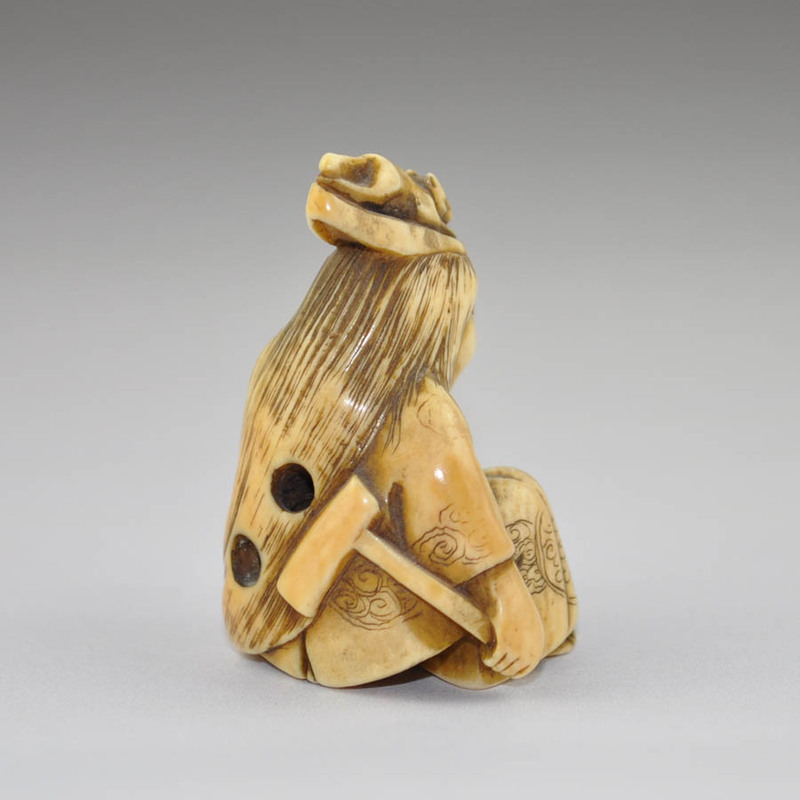 The character is related to the theatrical drama that sees Inari go to assist the swordsmith Kokaji Munechika to make a sword for the Emperor. 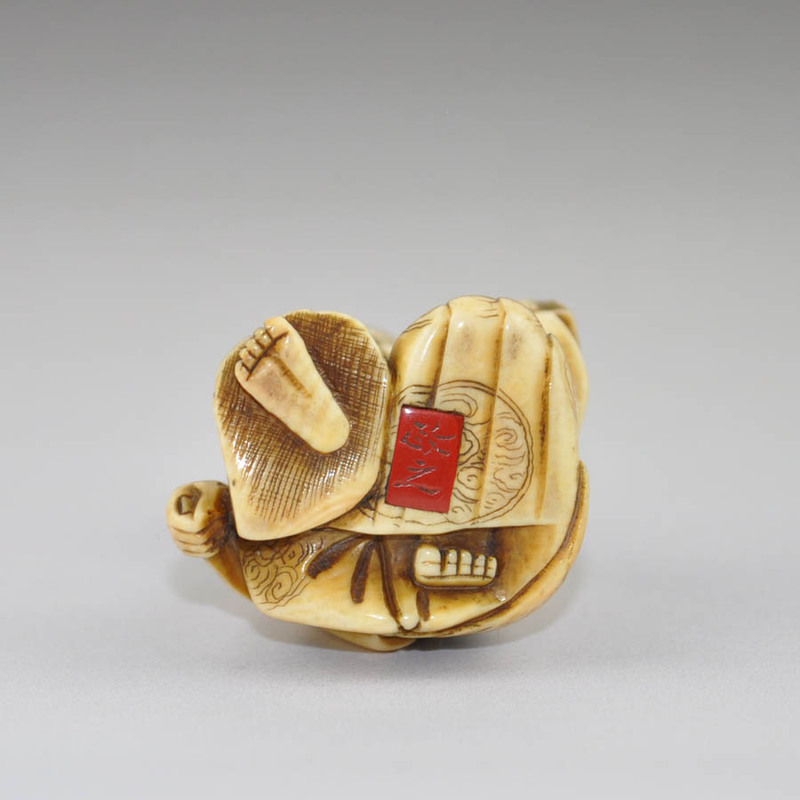 The netsuke is finely carved and with a nice patina. 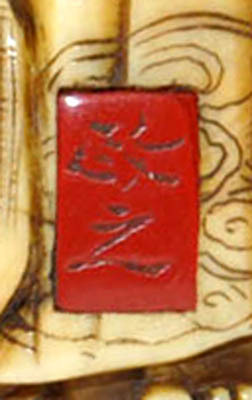 The signature is engraved on a red lacquer tablet.